Gorgeous Home! Huge Square Footage! Incredible Price! - Closed dollar volume of $1.957 Billion. The prime home selling and home buying season is here. 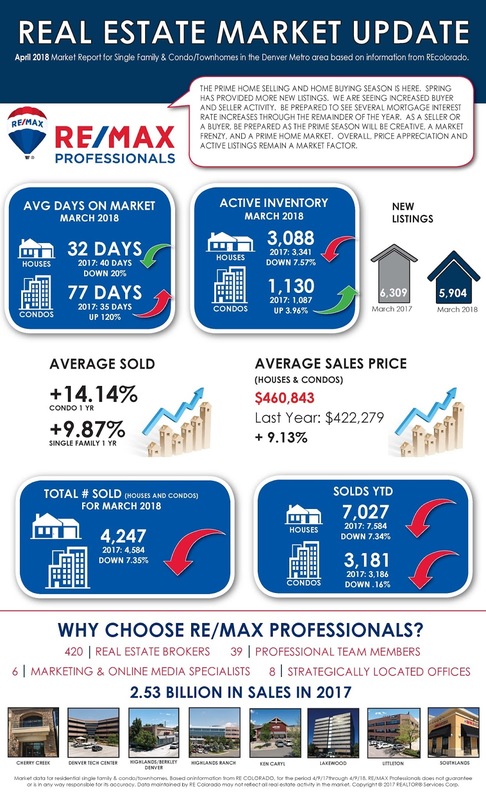 Spring has provided more new listings. 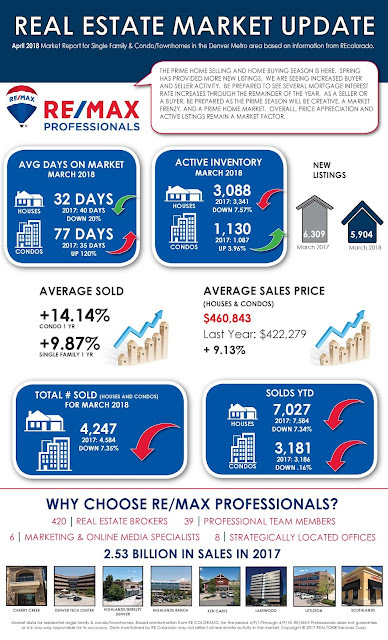 We are seeing increased Buyer and Seller activity. Be prepared to see several mortgage interest rate increases through the remainder of the year. As a Seller or a Buyer, be prepared as the prime season will be creative, a market frenzy, and a prime home market. Overall, price appreciation and active listings remain a market factor. 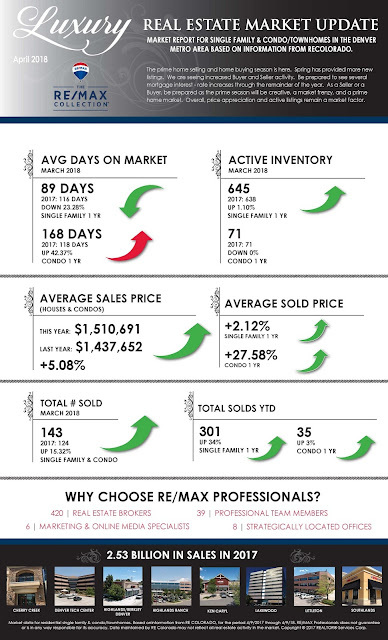 The Denver home market continues as a Seller’s market. As a Seller, you must know your home’s value and then have it listed at the best price. Also, it is to your advantage to list your home during the peak season, which is now. Last but not least, the Denver home market is now very creative. Be prepared for multiple offers, bidding opportunities, and requests for incentives. Take care of your home and make it a great first and last number one impression. With continued Denver population growth and consumer demand for home ownership, market frenzy is here and can be expected to continue for the next several months. Be prepared and knowledgeable as you will be seeing many changes in the Denver home market. Examples of some these changes are block chain and crypto currency offers and offers coming from Buyers that will start and complete the home purchase transaction through the cloud. Seller preparation includes a good pricing comparison analysis, instructions on staging, what are the top improvements and a conversation on how the market functions. As such, the homeowner looking to sell a home needs a professional who is a local expert, knowledgeable, and can assist in the Professional plan to sell one’s home. Now is the time to reach out to a Professional. What should you do if you are ready to buy? First and foremost, focus on your lifestyle and must haves. Next, pre-qualify so you know what portion of the market you can participate in. The current Buyer motivation relates to high rents, low number of active homes for sale, and household formation. Last but not least, do it now and be prepared to act quickly. Gorgeous Home! Full Finished Basement! Inground Pool! 1/3 Acre Lot! Surrounded by Open Space! Full Finished Walk-out Basement! This Home will Sell Quickly! Gorgeous Home! Full Finished Basement! Cul-de-Sac!